This post, "Perfect Start to Postseason Play" was originally published on Big 12. The Big 12 opened the first day of postseason volleyball action with a perfect 3-0 start. 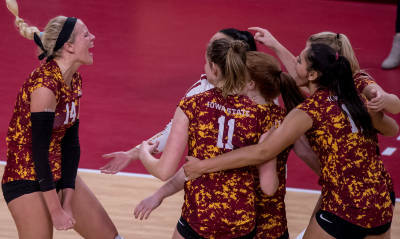 Iowa State and Texas swept their respective opponents, while Baylor went the distance in a five-set thriller. Round two of the NIVC Tournament and the NCAA Championship will take place on Friday, November 30. 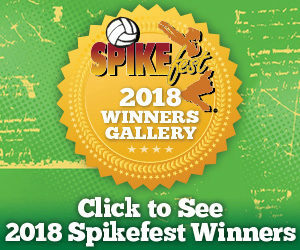 BU took down Hawaii in a five-set showdown in the first round of the 2018 NCAA Volleyball Championship. Middle blocker Shelly Fanning posted a career-high 10 blocks, along with 18 kills, on her way to her first career double-double. The Cyclones captured a three-set sweep over Drake in Ames, anchored by Jess Schaben’s double-digit kill mark (18) and a .382 hitting clip. Along with her 18 kills, Schaben registered 14 digs to mark her 16th double-double of the season. The final match of the day saw the No. 5 national seeded Longhorns defeat Stephen F. Austin in straight sets at home. UT was led by the Big 12 Freshman of the Year Logan Eggleston’s career-high .591 hitting percentage. Iowa State will host Bradley in its round two match of the NIVC Tournament for 6:30 p.m. CT start. Next up in the NCAA Championship for the Bears is a matchup against the host-school, No. 14 seeded Oregon in Eugene, Ore. Match time is set for a 9 p.m. CT start, while UT hosts Texas State for an 8 p.m. CT start.